Nearly 3 million Americans have been deployed in the wars in Iraq and Afghanistan since 9/11. Roughly 50 percent of returning veterans say they struggle with physical or mental health problems due to their service, and as many as one in five suffer from post-traumatic stress disorder. Pacific Islanders serve in the U.S. military in disproportionally high numbers, and have suffered the highest casualty rates in the wars in Iraq and Afghanistan. We visit Guam, a U.S. territory in the Pacific, to speak to some of the island’s veterans. The men and women here are American citizens and serve in our country’s military at a rate three times higher than the rest of the country. We explore why Guam’s returning veterans say they can’t get the healthcare they need. 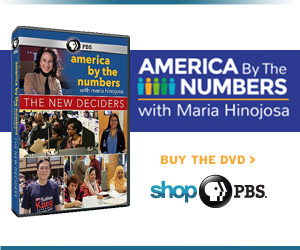 Learn more about Maggie, Roland, and others featured in this episode at americabythenumbers.org.